1. For the purposes of performing the recoverability test, the following assets and liabilities should be included in the asset group. The cruise ship is part of the asset group, and the liabilities would be any liabilities that are transferred with the asset. The asset group would be “the lowest level for which identifiable cash flows are largely independent of the cash flows of other groups of assets or liabilities”, which means basically the ship and its fixtures. Land-based assets such as the company office would not be included; only those assets that are specifically related to the ship as a revenue-generating unit. The different operating scenarios influence the recoverability test. If the recoverability test is conducted while the asset is held and in use, then “the estimates of future cash flows used in that test shall be based on the use of the asset for its remaining useful life, assuming that the disposal transaction will not occur.” The operating scenarios are basically the different options, and they are weighted by likelihood. So the weighted average of the cash flows from those scenarios will form the basis for the recoverability test. The potential foreclosure of the debt should factor into the cash flows to the extent that there will be savings on interest payments, or penalties associated with this action. Otherwise, cash flows should be incremental to the decision at hand. The boat has the present value of future cash flows of $1.93 million. This is then compared to the carrying amount, which is $4 million. So the value of the asset is less than what is owing. The impairment would be $4 – $1.93 = $2.07 million. In this scenario, the impairment would be $350,000. The impairment is lower because the present value of the expected future cash flows is higher, given that more weight is placed on the options that have a higher NPV. "Treatment of Impaired Asset Essay." Aceyourpaper.com. Student Network Resources Inc, 29 September. 2017. Web. 20 April 2019. Student Network Resources Inc. "Treatment of Impaired Asset Essay." Aceyourpaper.com. 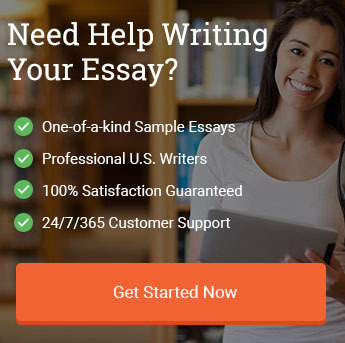 https://www.aceyourpaper.com/essay/treatment-impaired-asset-essay/ (accessed April 20, 2019).